Carol King speaks to the director of the highly acclaimed film ‘Gomorrah’ Matteo Garrone about his latest movie ‘Reality’ starring a former mafia hit man. The Italian director Matteo Garrone came to global fame in 2008 for his realistic portrayal of mafia life in the hard-hitting drama ‘Gomorrah’. Based on a book published by Italian journalist Roberto Saviano in 2006, the film depicts the Casalesi clan that forms part of the camorra criminal organisation based in Campania. ‘Gomorrah’ won critical acclaim and numerous awards, including the prestigious Grand Prix at Cannes Film Festival in 2008, and Garrone is regarded as one of the most significant voices in Italian cinema today. 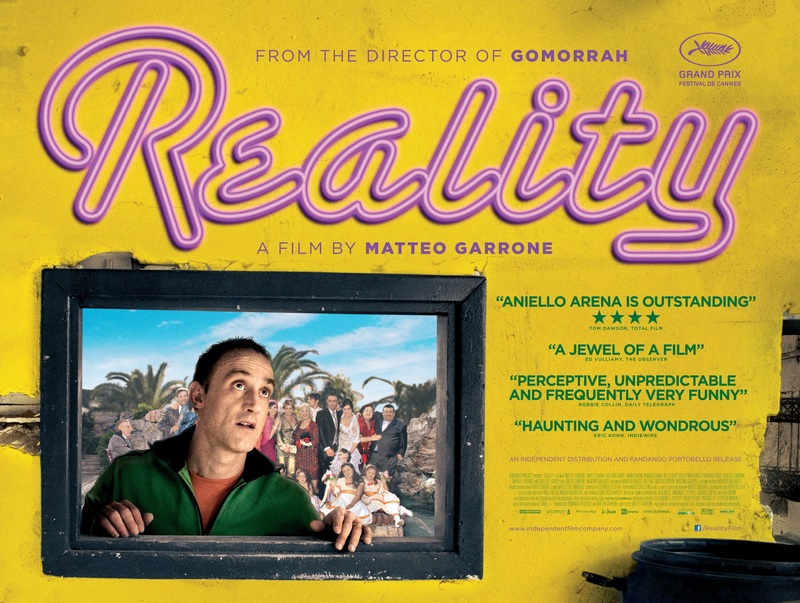 Garrone’s latest film, ‘Reality’ is lighter fare but equally compelling and won the Grand Prix at Cannes Film Festival in 2012. Based on a true story, ‘Reality’ is a fascinating tragic-comedy about the darker side of celebrity culture and shows the extreme lengths some people will go to for their five minutes of fame. It tells the story of a Neapolitan fishmonger, Luciano, who supplements his modest income by pulling off little scams together with his wife Maria. Likeable and entertaining, Luciano never misses an opportunity to perform for his customers and countless relatives. One day, his family urges him to try out for ‘Grande Fratello’, the Italian version of the ‘Big Brother’ reality TV show. However, when faced with his dream of fame and fortune, Luciano’s perception of reality begins to change. He plunges into a self-delusional fantasy that threatens to destroy his relationship with his loved ones. Luciano is played by former mafia hit man, 44-year-old Aniello Arena, who was convicted of triple homicide in 1991. Now he is serving a life sentence without parole. A former hit man for the Nemolato clan of the camorra, Arena began acting with the Compagnia della Fortezza (Fortress Company) prison-theatre group, which was founded in 1988 at the Volterra jail near Pisa by actor and director Armando Punzo to work with prison inmates. Garrone cast Arena in the lead role after seeing him perform in a play in prison. The director had tried unsuccessfully to cast Arena in ‘Gomorrah’ but was fortunate second time round. The prison authorities granted Arena guarded day release to shoot ‘Reality’. His realistic and touching performance has garnered critical plaudits and led to him being compared to Totò, Al Pacino and Robert De Niro. Why did you decide to make ‘Reality’? I knew about the story of Luciano because it happened in my wife’s family. It’s surprising but funny and tragic. So, I developed the story and that is how ‘Reality’ was born. 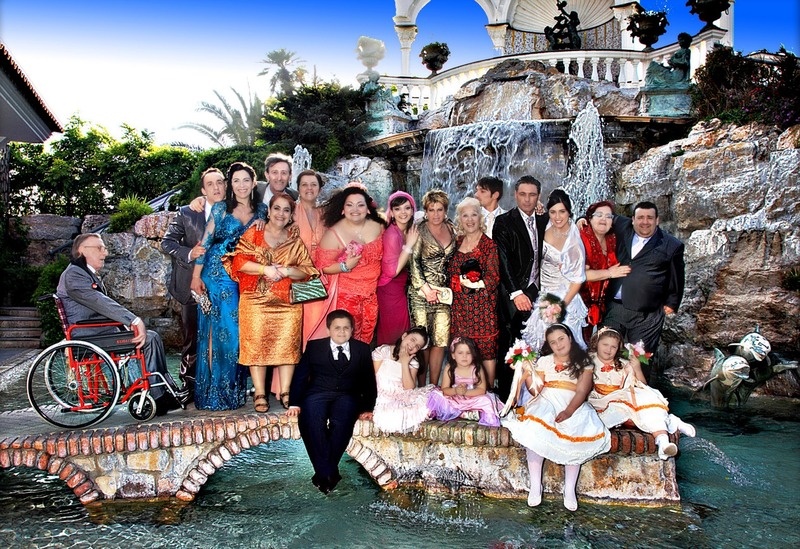 What does the current fascination for celebrity culture and reality TV shows say about Italy? We should talk about capitalism and fame. The fascination is very Italian and very universal: it’s about the West. The reality show ‘Big Brother’ is a MacGuffin [a plot device to drives a story forward] like that used by [film director Alfred] Hitchock. It is important as a desire... to escape everyday life. Luciano loses his identity and builds a new one where he is lucky, forming the Pirandellian part of the movie. I think his psychological journey and geographical journey are in a country full of contradictions, following the fantastical and unreal. Why did you cast Aniello Arena as the fishmonger Luciano? First, he’s a great actor. I saw him [act with] the Compagnia della Fortezza, a well-known theatre company at Volterra prison in Tuscany. Physically, he had the perfect face to be credible as a working-class guy who sells fish, and [looks] unsophisticated and naïve. [I thought] he must be the character – the modern Pinocchio. How was it working with Arena as both an actor and a man on day release from prison? It was an experience working with him. There are great similarities to how I and Armando Punzo work: we work with actors in sequence and leave actors room for freedom of expression, so that was great. He was controlled by the police, and went back to jail each night and came back [on set] the morning after. I chose him because he is an actor who found his way with the director Armando Punzo, and he is a very good actor. So I thought it was good for [Arena] and me that that he played in this movie. The story happens in Naples and I wanted to be faithful to the city. It’s a story about the relationships in the family. Luciano is pushed by his family to audition [for the ‘Grande Fratello’ TV show]. It’s a film about the contagion of society. The role of the family was very important, but then when they realise [what’s happened] it’s too late and something is not coming back. The film includes some great scenes where Luciano interacts with Neapolitan old ladies, why? It’s important that part of the film connects Naples to the past and to the films of the 1960s by people like Eduardo De Felipe and Victoria De Sica. The present is seen in the scenes at the water [theme] park and the shopping outlet [mall]. It’s to create the contrasts and contradictions of our country. For my next film, I’d like to do something I haven’t done before. I’ve done ‘Gomorrah’ and ‘Reality’, so I’m going through genres and finding my way. I always start at a different place to have the chance to grow as a director and do something I haven’t done before. How do you see Italian cinema at present? We have many directors who are famous in Italy and abroad, and the movies they make have an audience abroad... I’m happy to have some audience abroad and have the freedom to do projects that aren’t just connected to Italy. There are many directors who have an audience and with time, we’ll know if their movies remain or not. Paolo Sorrentino, Gianni Amelio, Bernardo Bertolucci, Nanni Moretti, Giuseppe Tornatore are all names abroad and some are already in the history of cinema. ‘Reality’ will be released in the United States on 15 March and in the UK on 22 March 2013. The film is on Twitter at @RealityFilm and on Facebook at https://www.facebook.com/realityfilm.